For any business, balancing security against IT expenses is a constant struggle. How much security is enough? How can the company maximize cybersecurity while reducing business expense and cost? Smart companies are turning to outsourced IT resources for cybersecurity. This allows the business to better manage and control costs while maximizing security. Managed IT services provide businesses the cybersecurity and IT resources of a much larger company for a fraction of the cost. In this article, we’ll look at how managed IT services work. You’ll see how you can leverage the outsourced resources for cybersecurity, letting your business focus on core priorities while reducing risk. When a company utilizes a managed service provider, they outsource certain functions or business processes. The goal is to reduce costs and improve operations and business efficiency. Basically, there are many types of managed services, including managed marketing services, managed accounting and finance services, and managed print services. With managed IT services, the business will contract with an outside provider to manage IT and network services, including cybersecurity. By turning over some responsibility to the service provider, the business can focus on customers. They can manage the business with a growth strategy, confident cybersecurity is under control. Many business owners are experts in their field. However, not every owner is an expert in IT security. This is where a managed IT service provider can help as they are experts in cybersecurity. With the right provider, your business will see an almost immediate benefit to cybersecurity. Applying internal resources toward cybersecurity can be difficult. Every resource applied to security is taken from a potentially more profitable activity. Without the right balance of resources applied to IT security, the business is either at risk for cybercrime or starved for resources and profit. Many businesses are currently struggling to develop a cohesive and comprehensive cybersecurity plan. Fortunately, a managed IT service provider will service multiple accounts. They utilize proven best practices, tested with every client they work with. 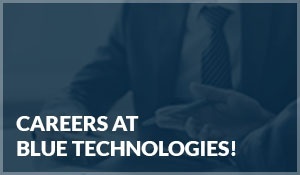 They focus on the most advanced security techniques and technologies. Best of all, the provider will continue to refine and adapt their techniques, as they strive to stay on the leading edge of cybersecurity. The rules and restrictions covering regulated industries can change quickly. Businesses working in regulated industries need to stay compliant with current regulations and this can be difficult. Apparently, managed IT services focus on cybersecurity and compliance issues. They can stay on top of changing regulations and track potential compliance issues before they become a problem. This reduces the risk for the company. It provides additional value for customers who trust the business with confidential information. Cybersecurity can be extremely expensive. Monitoring the network and maintaining security can take resources from other priorities. Managed IT services provide greater coverage for a lower cost. By working with many companies, the cost can be shared among customers. In addition, the service provides a predictable expense which the business can budget. Typically, the business will pay a recurring cost for the managed service, which is scalable. As a result, the provider can deliver the necessary additional services at a much lower cost as opposed to hiring and training more employees. In fact, many businesses using managed IT services report reducing costs by as much as 25 percent. Many companies are forced to rely on employees who aren’t experts in computers or technology to manage IT and cybersecurity. This can pull vital resources away from core business activities, reducing the service and value the company provides to customers. Managed IT services allow you to assign employees to those core business activities without sacrificing IT security or services. When necessary, you can even utilize resources from the provider to support employees and projects. Scale-able resources for IT and security are provided – where and when you need them. When you contact a managed IT service provider, they will first assess your current network and security protocols. They will develop and customize an IT and security strategy that meets your needs and budget. The provider will also work with employees to understand department and individual needs. They will look for ways that existing processes and technology can be leveraged to increase operational efficiency and security. Often, by simply letting the provider’s expertise improve operations, you will see immediate benefits. The service pays for itself almost immediately. Discover how a leading managed IT services provider can increase security and efficiency for your business. Contact Blue Technologies today to learn more.